The music and words of Tupac Shakur have resonated more in recent weeks following grand jury decisions in both Missouri and New York to not indicate police officers involved in the killing of two unarmed African-American men. Tupac, who took the music world by storm from his debut album 1991's 2Pacalypse Now to his untimely death in 1996 at the age of 25. 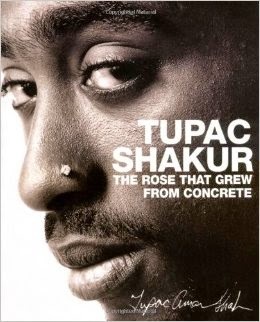 While his music altered hip-hop forever, the impact of his words are timeless and this was seen vividly in his book of poems, The Rose That Grew From Concrete. Tupac had been gone for three years until his estate opted to release the book of poems that showed that he was just as sensitive as he was a hard hitting rapper. While he may have had "Thug Life" tattooed across his belly, his heart was worn right on his sleeve without any ink and this book showcases that. In out troubled and volatile times, this book of his words means more now than ever before.